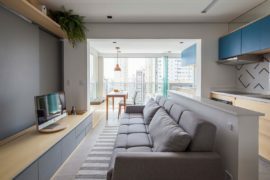 It is not very often that you find a modern apartment that is draped in color beyond the simple white, stoic gray and unassuming neutrals that barely make a visual impact. 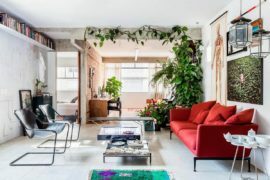 This is even truer when you flip through the many living room inspirations around. 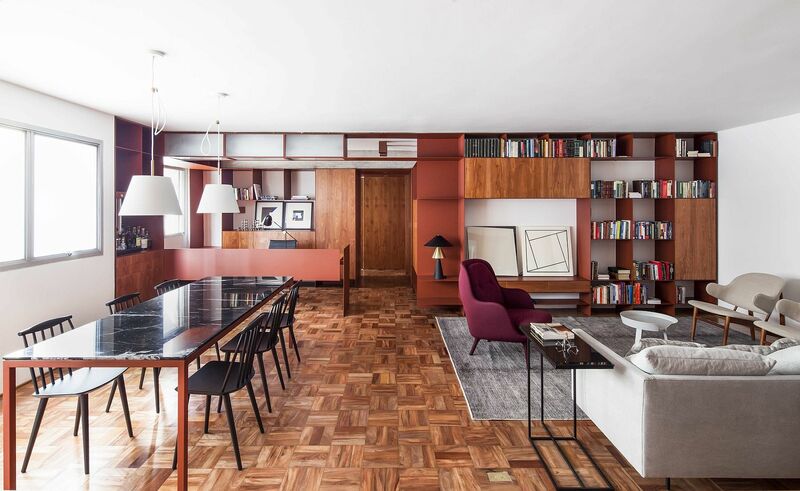 But the Terracota Apartment in Sao Paulo is a touch different from the rest. 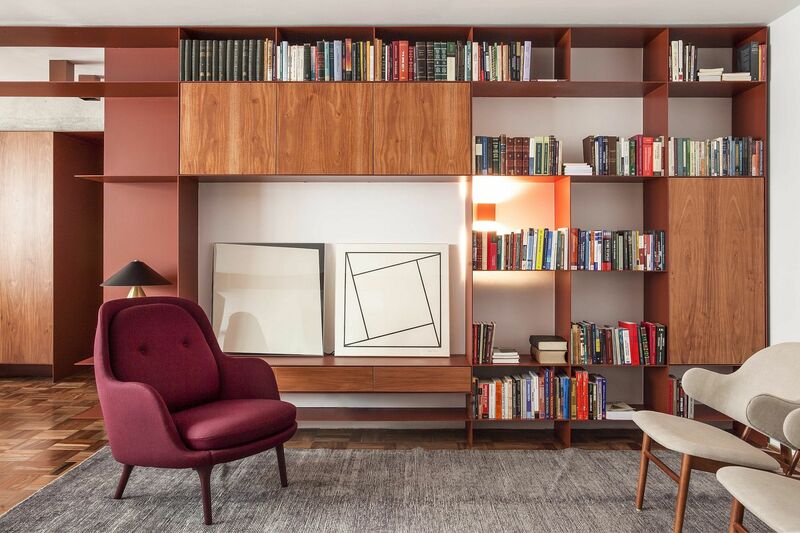 It embraces bright and beautiful burgundy in an apparent yet classy fashion. 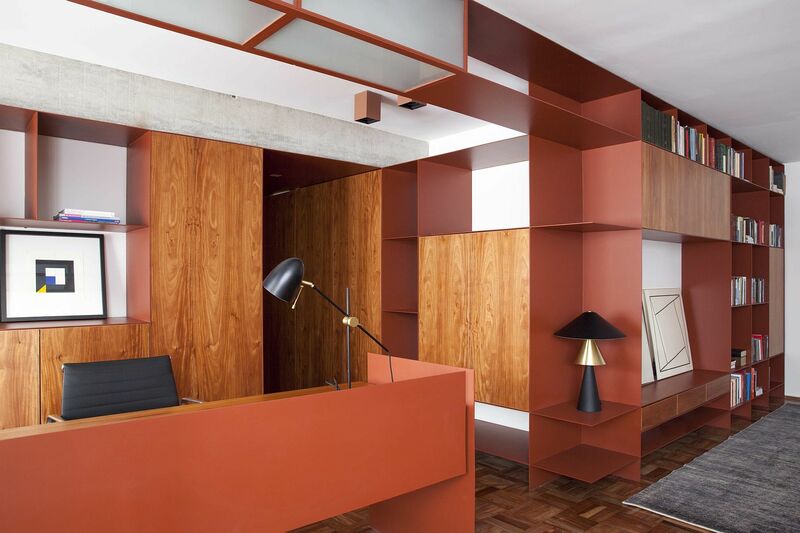 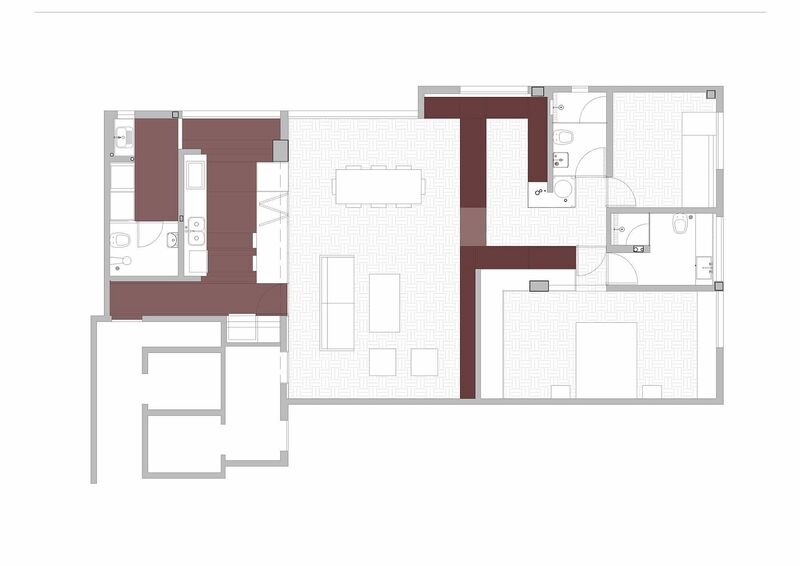 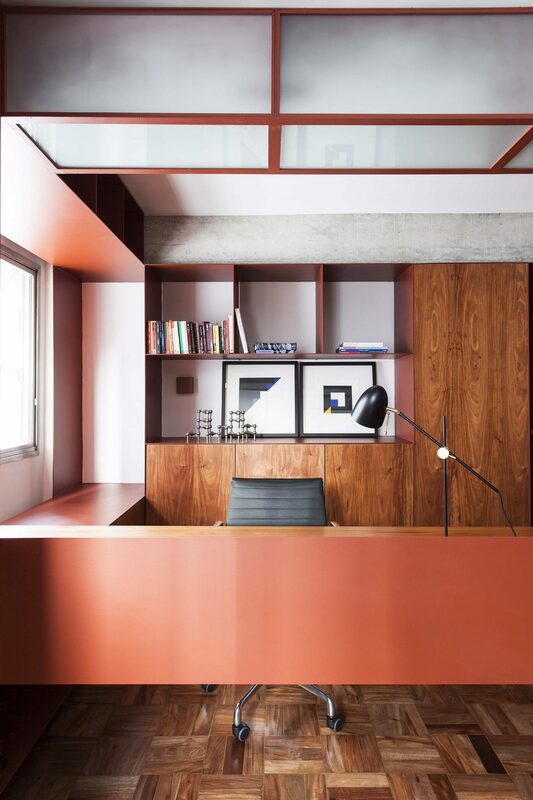 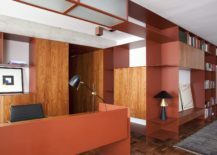 Designed by AR Arquitetos, this revamped Brazilian apartment features a bold, red metallic sheet that morphs into different forms in various sections of the interior. 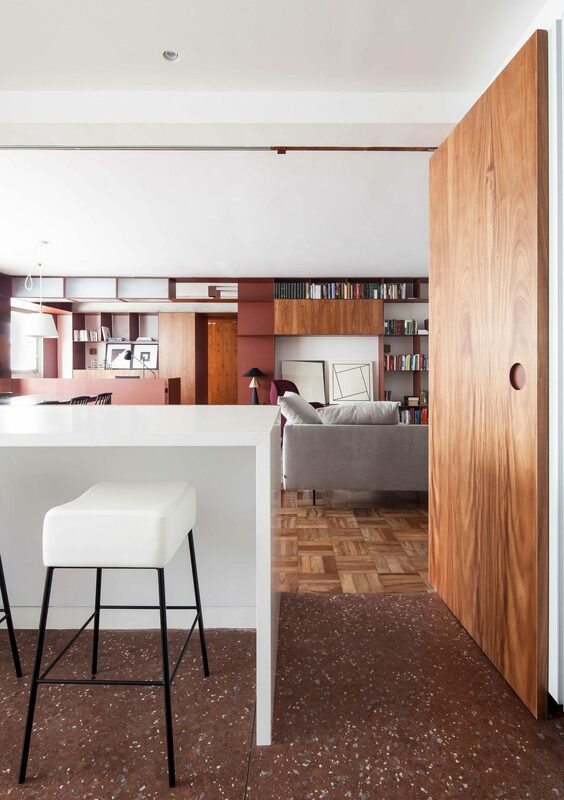 The revamped apartment makes quite a big visual splash with the new wooden flooring adding plenty of pattern to the modern setting. 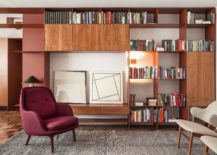 It is the small living with its bright fuchsia chair and custom bookshelf in metal and wood that first steals the spotlight. 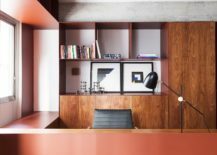 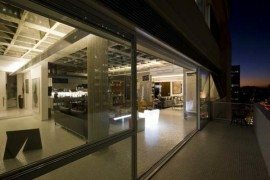 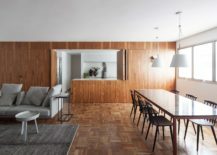 It is the same metallic sheet that goes on to become the striking home office desk, breakfast bar in the kitchen and additional shelving in other parts of the apartment. 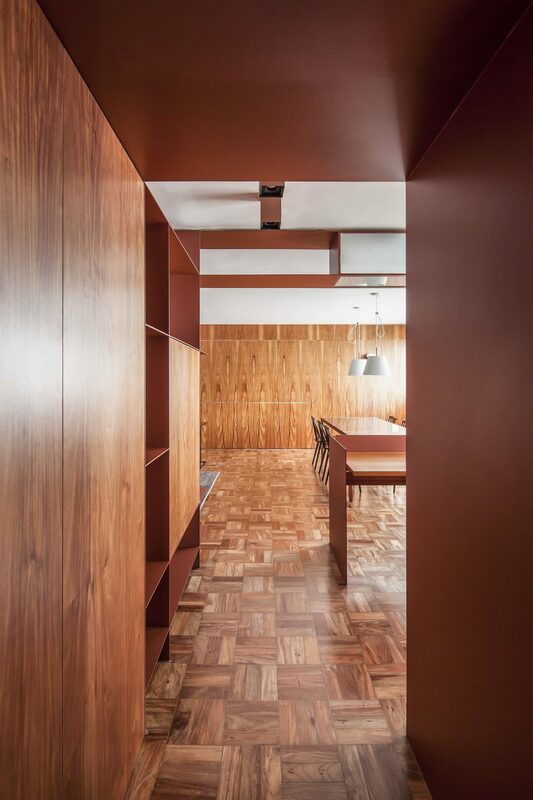 The red glint continues to hold sway with large wooden panels covering the walls and other carefully placed accents accentuating this lively hue. 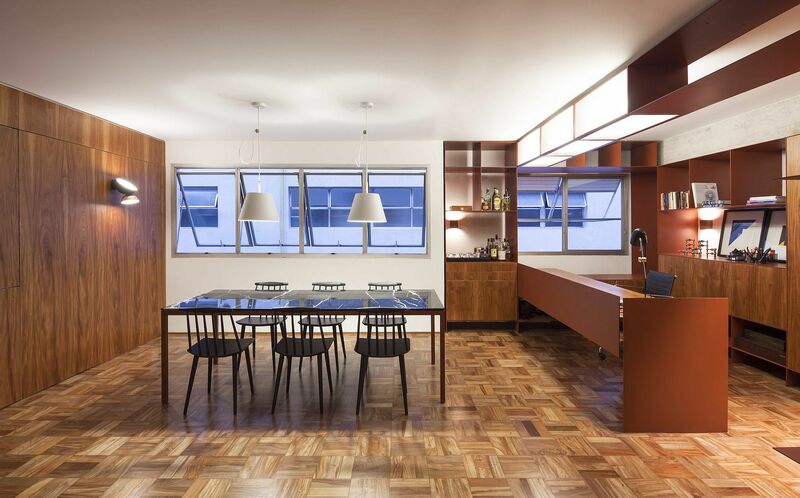 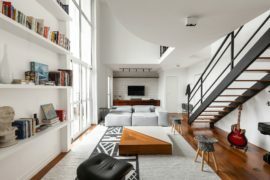 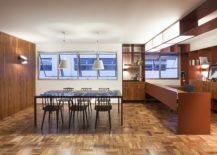 Reimagined Sao Paulo Apartment Filled with Light is a World of Contrasts! 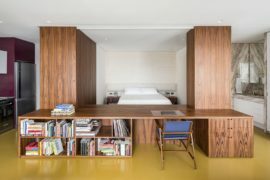 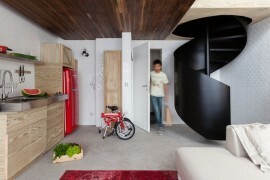 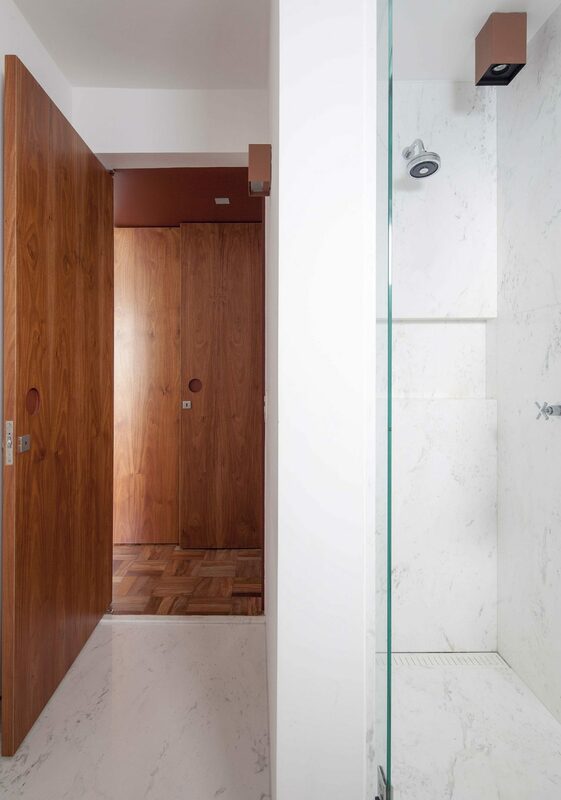 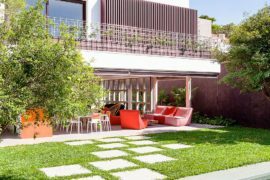 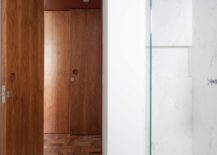 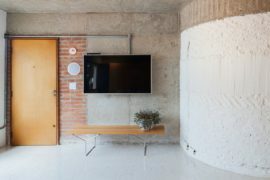 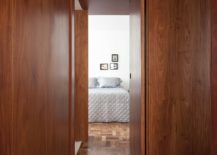 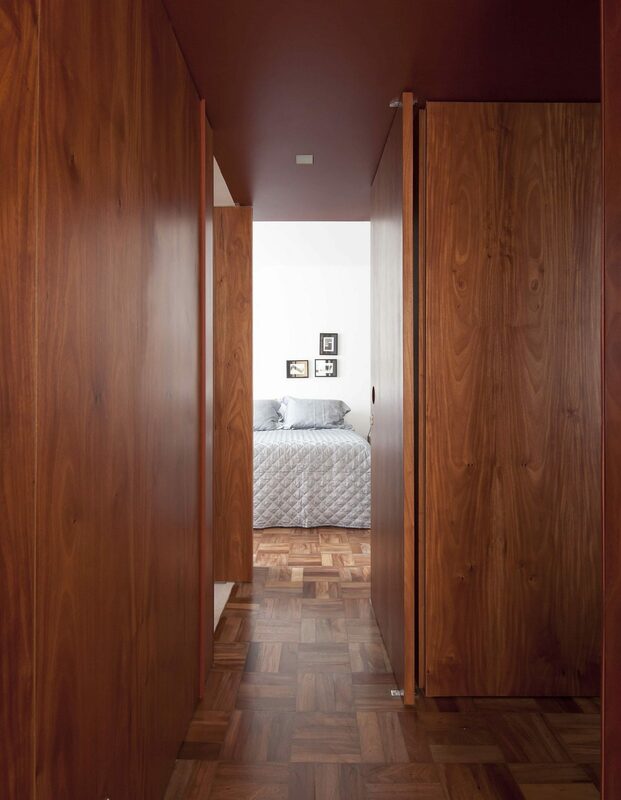 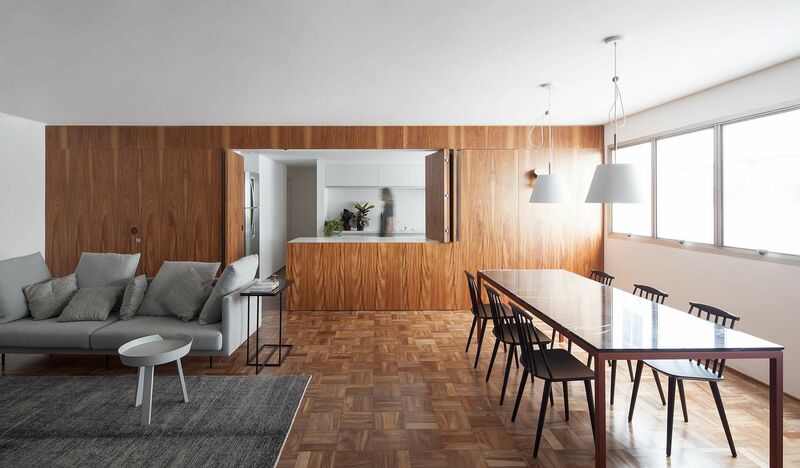 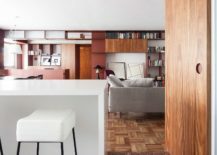 Downsizing the Toilet Transforms This Modest Sao Paulo Apartment!